For babies and newborns, safety is the name of the game. 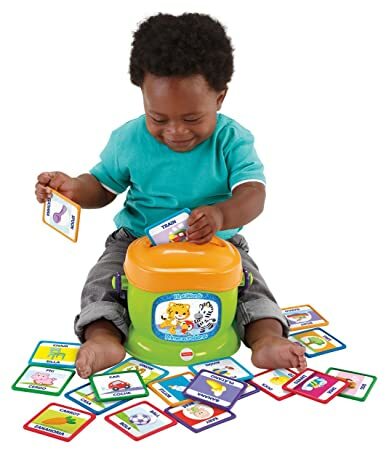 Since they don’t have a lot of gross motor control, focus on toys that are easy to grasp and maneuver. Toys recommended for children under the age of 3 must meet certain requirements that mean they are not a choking hazard. As most children this young won’t remember the holiday and what gifts they received, focus on enrichment toys and books and you can’t go wrong. In no particular order, here are 50 of the best Christmas gift ideas for the 0-2 set based on available features and average customer ratings and reviews. 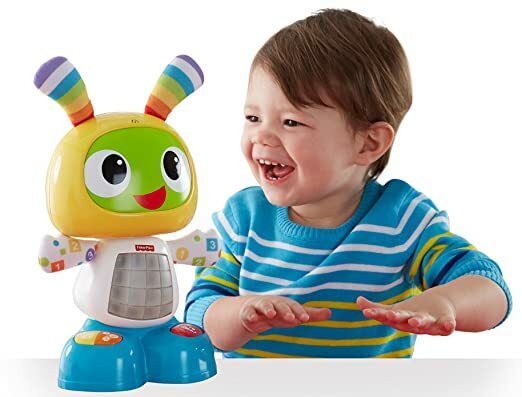 This cute little toy features a fun “dancing” action to help your little one get their hips shaking and head bobbing along to the beat. It features three modes that grow with your child through the baby and toddler years. This play space features an interactive touch-sensitive light bar that responds to your little one’s touch with various lights and sounds. There are three different ways to play so it grows with your child from infancy through toddlerhood. 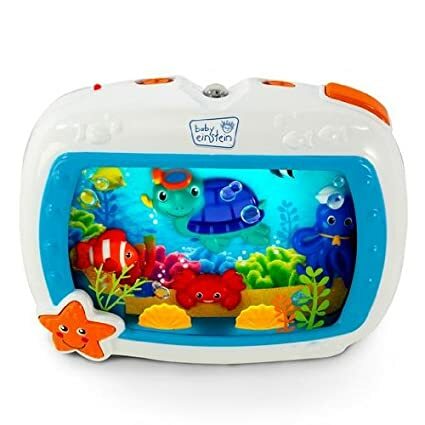 Send your little one off to sleep with a soothing lullaby while they enjoy watching the unique and calming underwater light effects and motion of the baby Neptune characters. 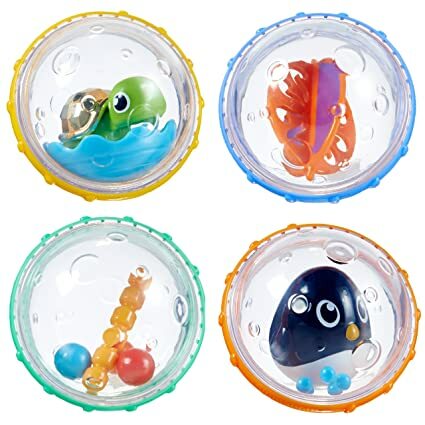 This set of bath toys is ideal for stimulating your little one’s sense of sight, hearing, and touch and easily floats in the water for hours of bathtime fun. The textured rings move freely around the bubbles and make them easier for little hands to grip. 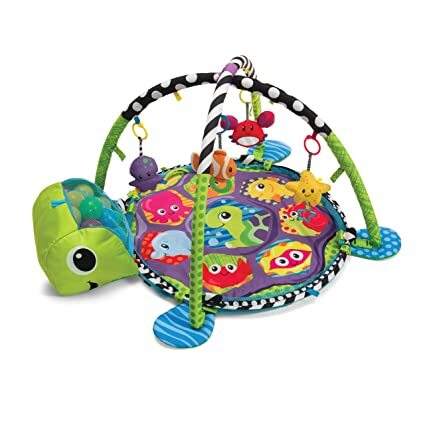 This cute little activity gym features a sweet turtle design that converts as your child grows. It starts off as a basic play mat and features removable mesh netting that converts it into a ball pit in just minutes. Your little one will love bath time with this fun little toy that also doubles as a water scooper for pouring and rinsing off soap. 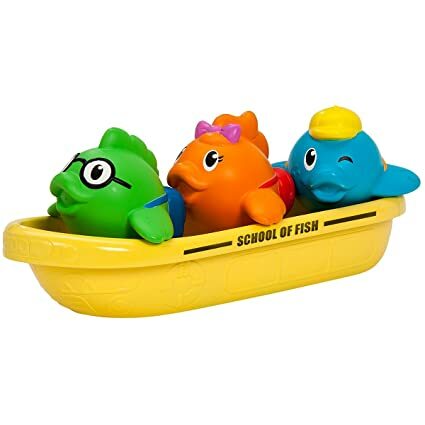 It comes complete with three squirting fish students dressed and ready for class. 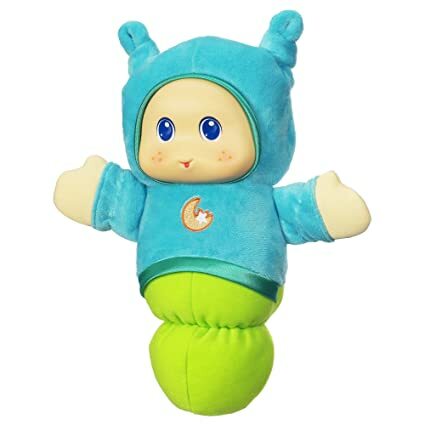 This soft and cuddly cute little friend can help your child learn all about their body parts, letters, colors, counting, and more. It features over 50 phrases and sing-along songs to captivate and teach little learners. 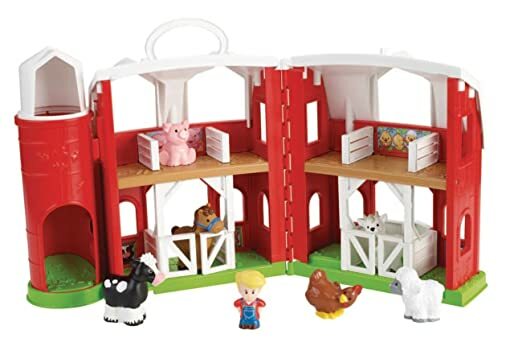 This play set comes complete with a farm with doors that can be open and closed, as well as a figurine farmer Eddie and six common farm animals. Teach your little ones what each animal says for hours of creative play. 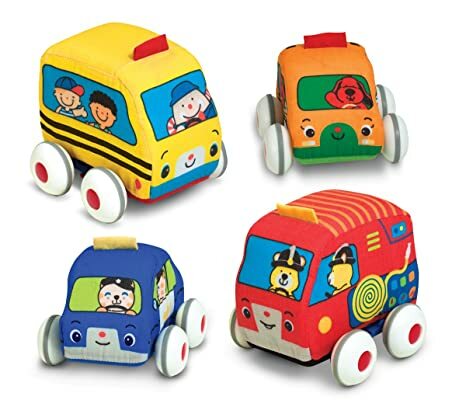 These toy vehicles feature a plush design that’s easy for little hands to grip and won’t hurt baby in case of accidents. 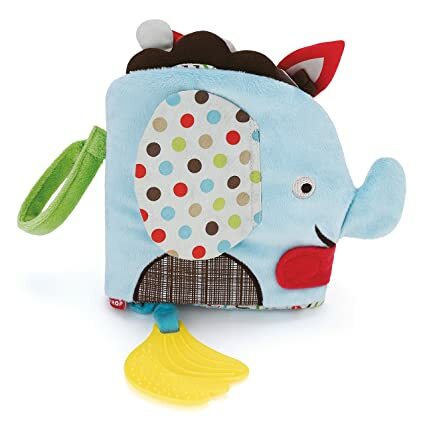 Plus, all Melissa & Doug toys have been tested for safety and are made of the highest quality materials. 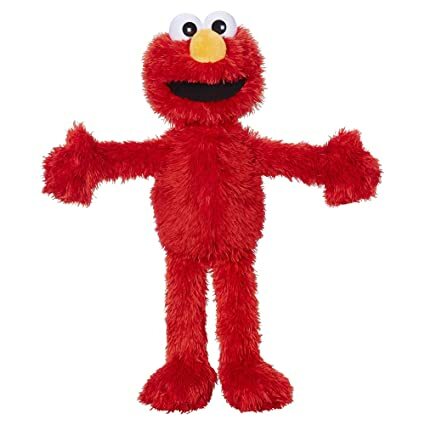 Everyone’s favorite Sesame Street character can now be your child’s cuddly best friend with this toy that features two modes of play and eight games and activities to engage your child, plus over 150 different responses. 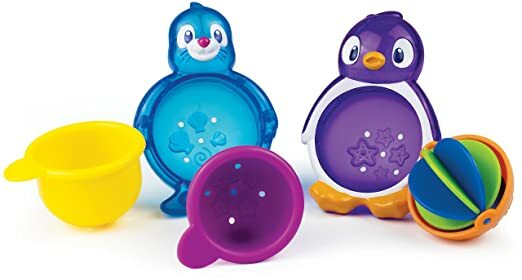 This sweet little bath toys come complete with two floating friends, two scoop and strain cups and one spinner ball to keep your little one entertained and engaged in bathtime play. 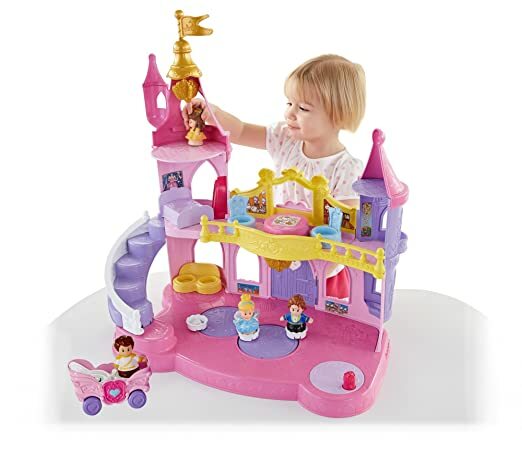 This magical play castle lets your little princess dance and play the night away and plays different sounds, music and phrases when you spin the lever that activates the palace dance floor. 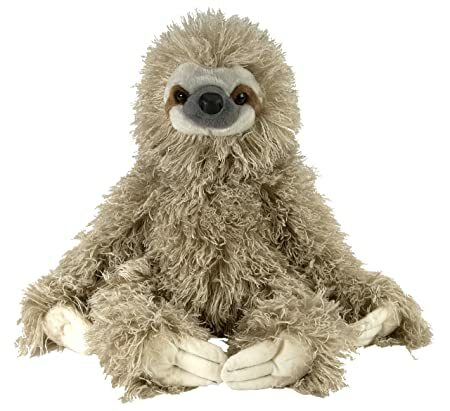 This cute and cuddly little plush is made of the finest fabrics to create a super soft and huggable pal for kids of all ages. 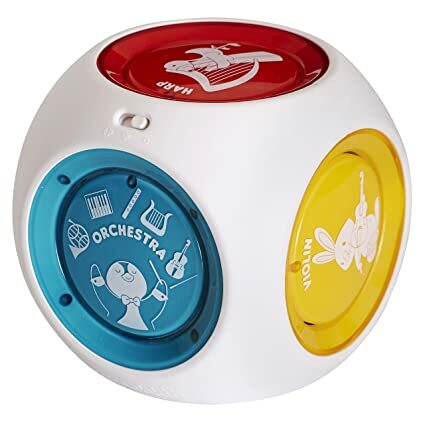 This fun little musical toy teaches children about colors, music, sounds and more and features sides that light up to the beat of the music. 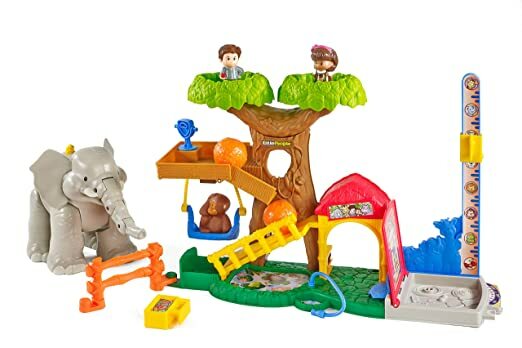 Children will enjoy hours of creative and imaginative play in the jungle with this adorable set that comes complete with a zookeeper, elephant, monkey, food and fence connector. 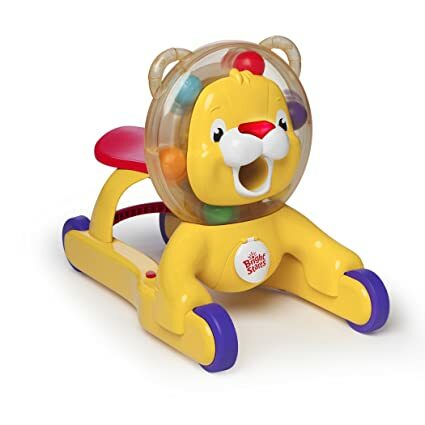 This jumping toy lets baby jump safely without the need for a door or any fancy set up, and folds down for easy and convenient storage. 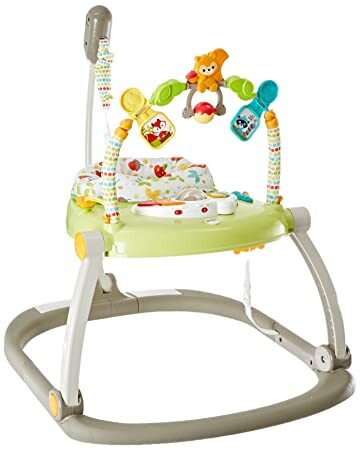 It features a soft-sided overhead toy bar with various toys to keep your child engaged in play. 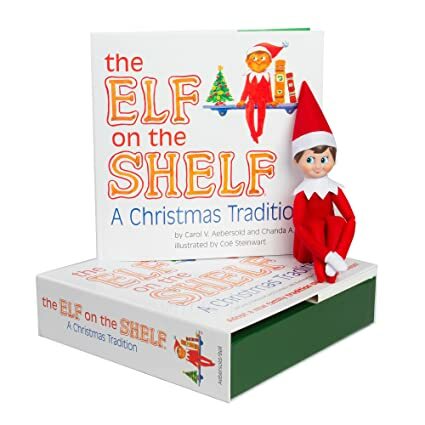 This special box set comes complete with one of Santa’s blue-eyed boy scout elves to help your little ones behave until the jolly old man makes his way down the chimney, as well as a beautifully illustrated storybook. 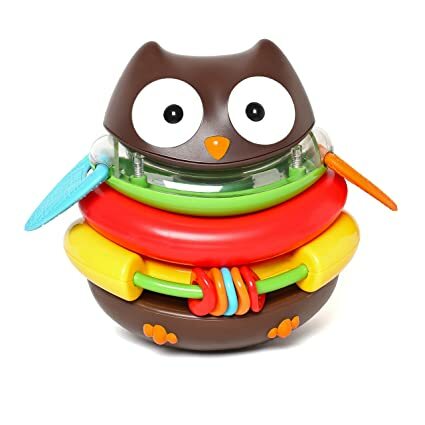 This cute little toy offers an adorable update on the classic ring stacking toy and features five pieces that can be stacked to create a sweet little owl friend. It helps develop little one’s hand-eye coordination and motor skills. 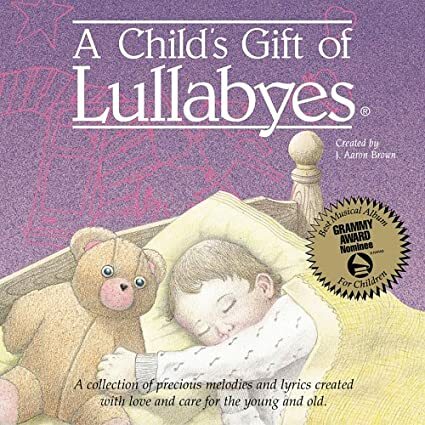 Soothe the little ones to sleep with the sweet musical tunes of several calming instrumental children’s lullabies. 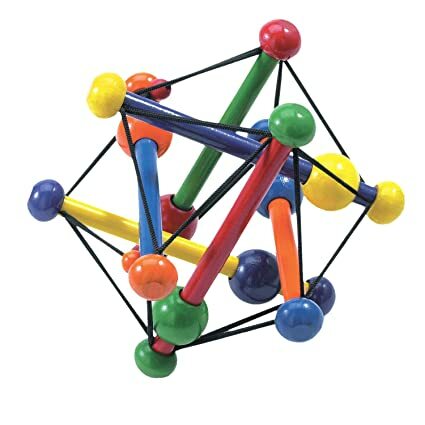 This classic toy teaches your little one to grasp and reach while also making an excellent teething object. It is perfect for small hands to grip and the beads make an engaging rattling sound when shaken. 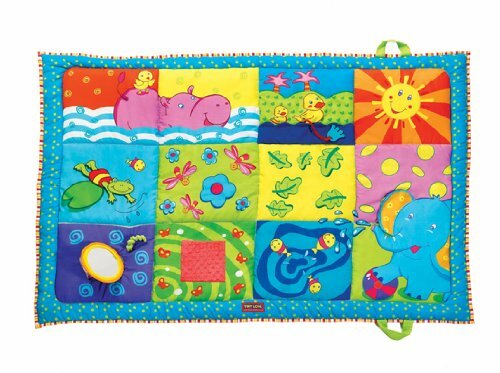 This cotton play mat offers a clean, soft, safe surface for your little one to play on and features a beautiful design that has a lot of fun developmental features (mirror, chew toy) to keep baby entertained. It’s never too early to get a head start on your child’s vocabulary and this bilingual flash card set helps them learn their first words. It even comes with a colorful bucket for storage and extra fill and spill play. 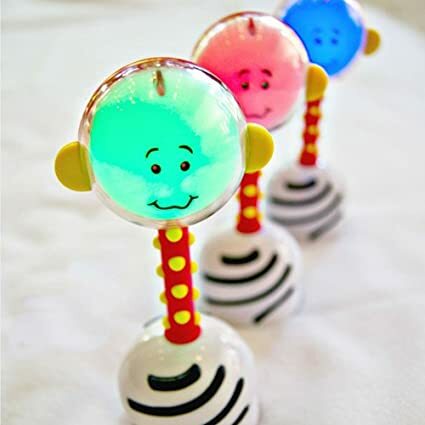 This little rattles lights up when batted and helps to encourage play and interaction between baby and caregiver. The textured handle is easy for baby to grip and provides extra sensory stimulation. This soft and cuddly plush book features several sections with different features that help increase your child’s sensory play and development. 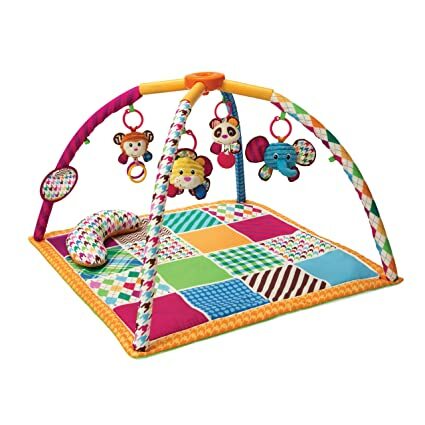 This activity gym and playmat gives little ones a soft and cozy place to play on the floor and comes complete with four removable contrast toys that help to encourage reaching and batting skills. 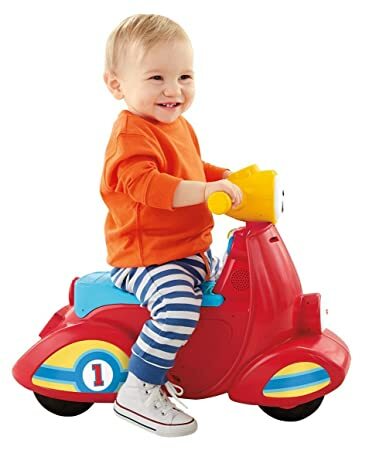 This bright and colorful little scooter grows and changes with your baby from learning words and sounds to following directions and participating in simple role play. It helps teach colors, shapes, letters, and numbers. 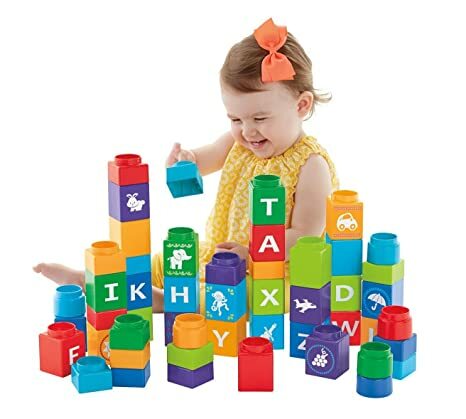 This soft block set lets your little one stack and build to their heart’s content. 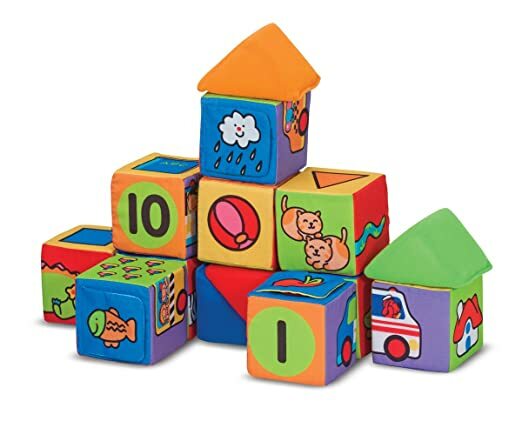 Plus, all Melissa & Doug toys have been tested for safety and are made of the highest quality materials. 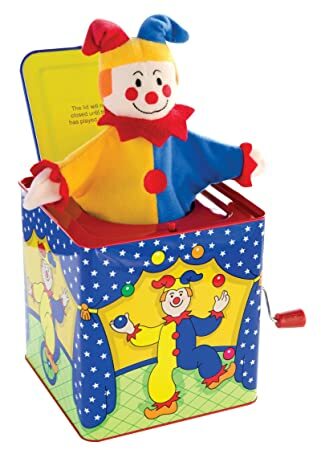 This classically-styled Jack-in-the-Box is loved by those of all generations and plays the familiar tune as you wind the crank. Watch your child light up with anticipation when the melody starts to play. 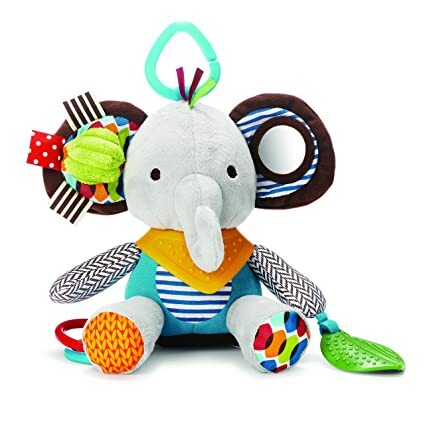 Available in a choice of style and characters, this cute little toy easily clips onto your diaper bag, stroller or car seat to provide baby with a visual and sensory experience. 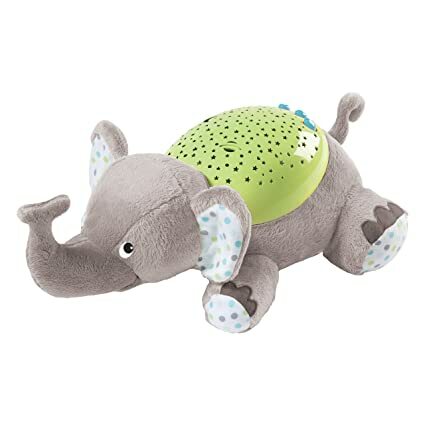 This cute little friend provides a calming and soothing experience for both newborns and older babies alike and can project a starry night sky onto the ceiling and walls of your child’s room. It also plays five meditative songs and nature sounds to help soothe them to sleep. 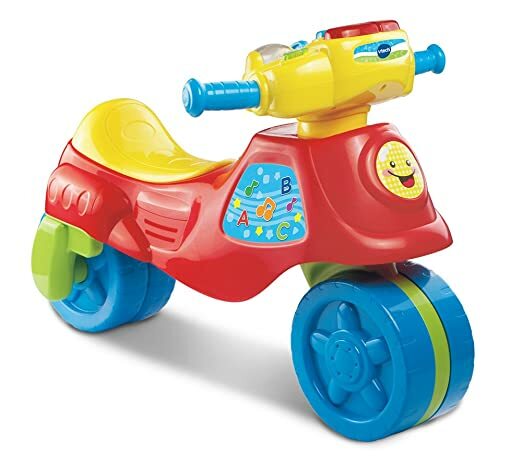 Your little one will get a kick out of scooting and zooming around on their very own motor bike. The bright colors capture baby’s attention and it can easily be transformed to suit your child’s needs. 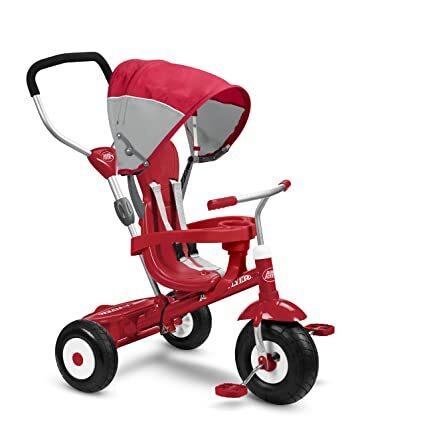 Kids will love riding along on their very own tricycle, either on their own or with a little help from mom and dad. The collapsible sun shade helps to protect your child from the elements and the all-terrain tires provide a comfortable and smooth ride. 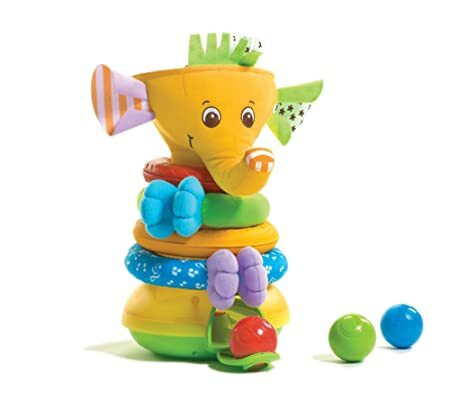 Perfect for helping little ones develop their fine motor skills, including stacking, sorting and more, this fun toy includes three colorful balls with rattles that are easy for little hands to grasp. This classic toy has been a childhood favorite for years and helps to comfort and soothe baby by playing a calming lullaby. 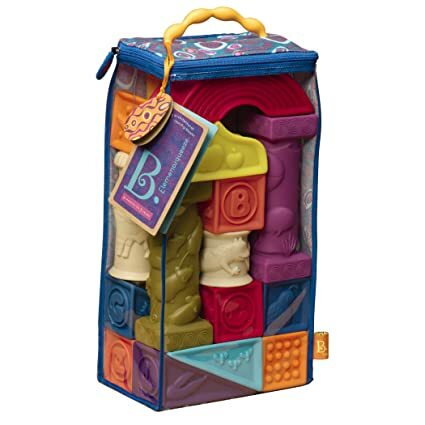 Each one of the 26 hand-sculpted blocks in this set helps to provide your child with a sensory experience and features a letter of the alphabet to help teach early vocabulary skills. 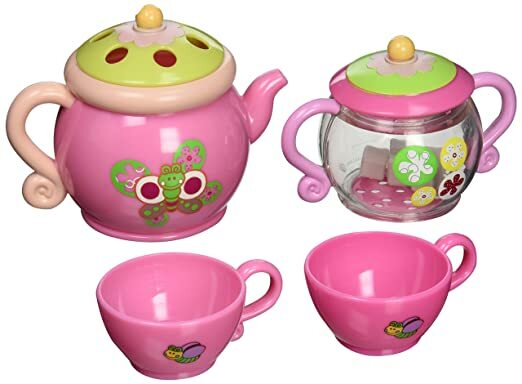 Now your little princess can bring the tea party to the bathtub with this fun pink toy set. It includes a teapot with two tea cups, and a sugar bowl with sugar cubes for lots of imaginative play. 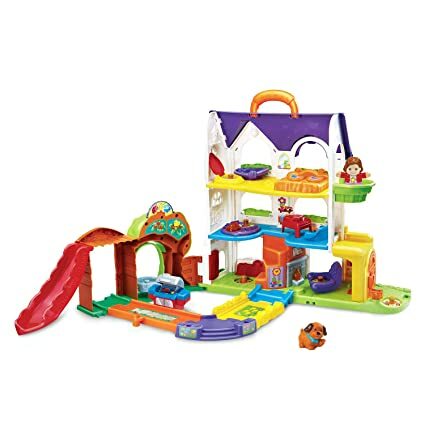 This adorable toy set features a three-story house with multiple MagicPoint locations that bring the Go! Go! Smart Friends character to life. They’ll say various phrases, sing songs, and more when wheeled over the right spot. 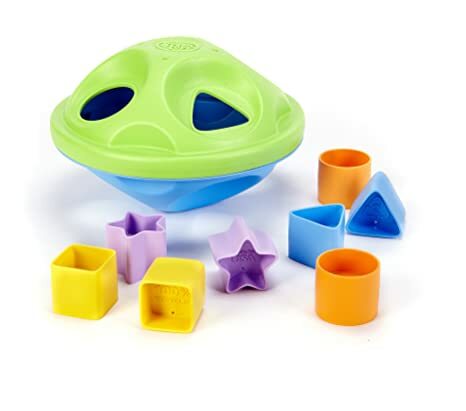 Help your little one develop their gross and fine motor skills with this shape sorting toy that is ready for play right out of the box. The food-safe plastic shapes are easy to grasp and have been made in the USA. This classic children’s book helps to promote literacy skills and a love of reading from an early age. 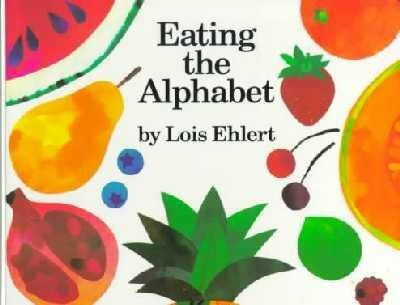 It’s never too early to start reading to your child, and this book helps teach the alphabet as well as various foods. 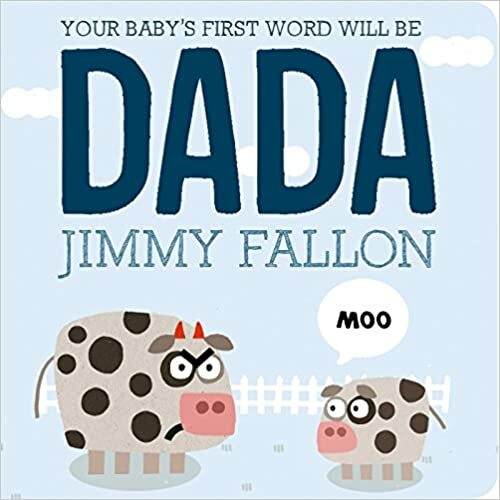 After becoming a new dad Jimmy Fallon was so adamant that his (and your) child’s first word should be dada that he created this cute little book. While it won’t actually ensure your child says dada first, it’s a fun story and great way to spend time with a new baby. 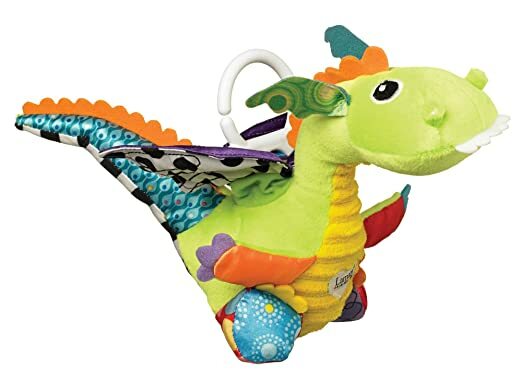 This cute little dragon toy easily clips onto your child’s stroller, diaper bag, or car seat and flaps its little wings when pulled down on the string. Its various textures are a delight for baby to touch and hold. 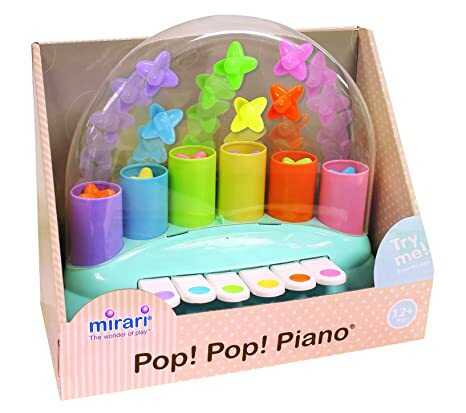 This sweet little toy might just be your baby’s first piano and features six brightly colored keys that make a fun sound and pop up a star when pressed. It helps develop an appreciation for music. 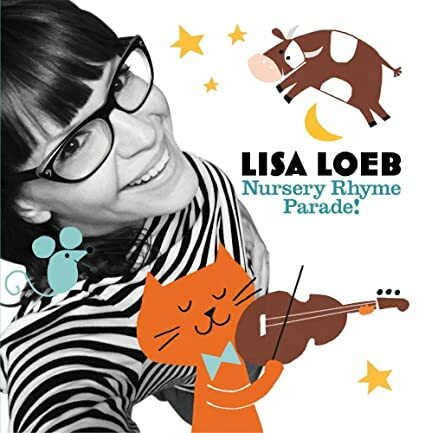 Platinum recording artist Lisa Loeb sings several classic children’s nursery rhymes in this whimsical and lively collection. Featuring favorites such as Jack and Jill, Itsy Bitsy Spider, and Hey Diddle Diddle, it’s sure to be your child’s new favorite. 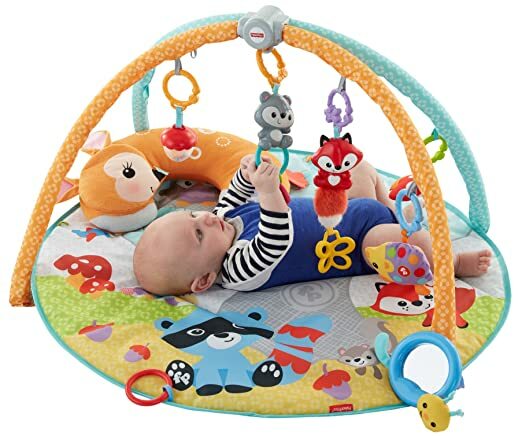 This sweet little play gym features a soft mat to keep your little one snug on the floor and several detachable hanging toys promote your child’s reaching and grasping skills. 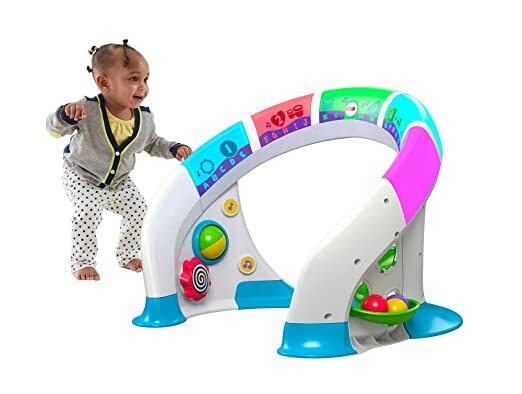 This bright and colorful toy features a convertible design that allows it to grow with your child and helps to teach a number of skills including balance, gross motor skills and more. There are several melodies and sounds to keep children engaged. 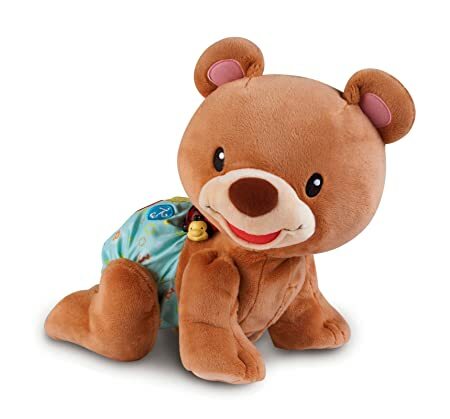 This sweet little teddy bear is a cuddly companion for your little one and helps encourage them to move once they begin crawling. It features over 50 fun songs, sounds and encouraging phrases to help engage your little one. The easy-to-grasp figurines in this magical, musical castle will help inspire and develop your little one’s imagination and creative play skills. 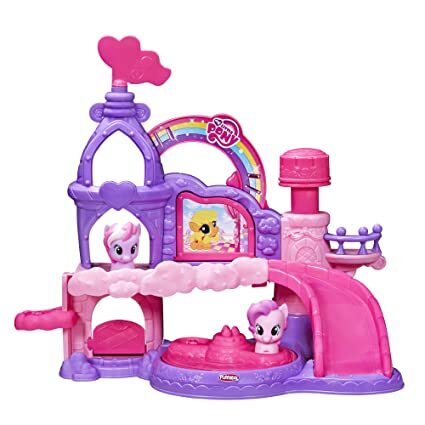 It comes complete with the castle playset and two pony figurines. This set features 50 blocks to help your little one develop gross and fine motor skills while they stack and play all day. It features the letters of the alphabet and other simple pictures to help develop literacy and language skills. 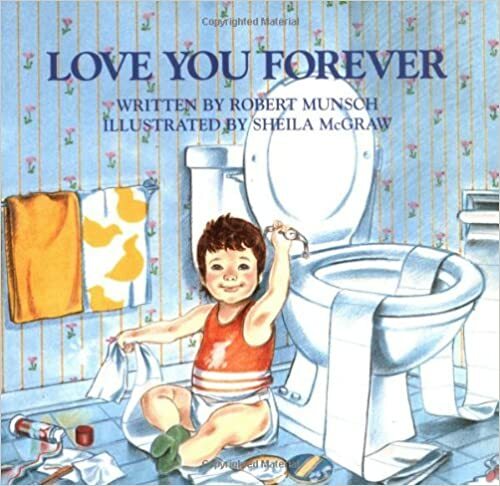 Give the gift of this classic children’s storybook and show the newborn in your life how much you’ll always love them. Loved by both children and adults alike, it’s sure to become a storytime favorite. 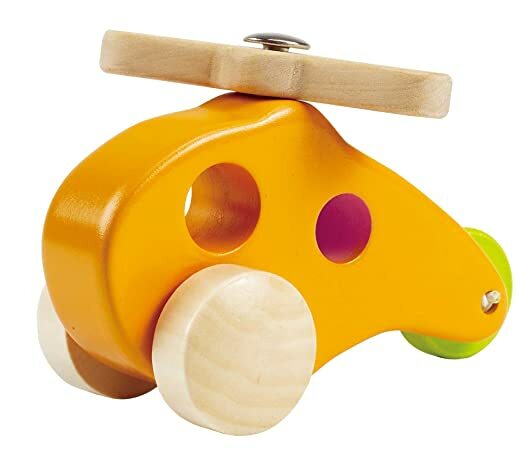 This bright and colorful little helicopter is large enough for little hands to easily grasp and features a spinning rotor that helps to develop fine and gross motor skills while stimulating your child’s imagination.